Ensure accuracy and control quality with Rapid laser inspection of parts. Identify quality issues quickly. 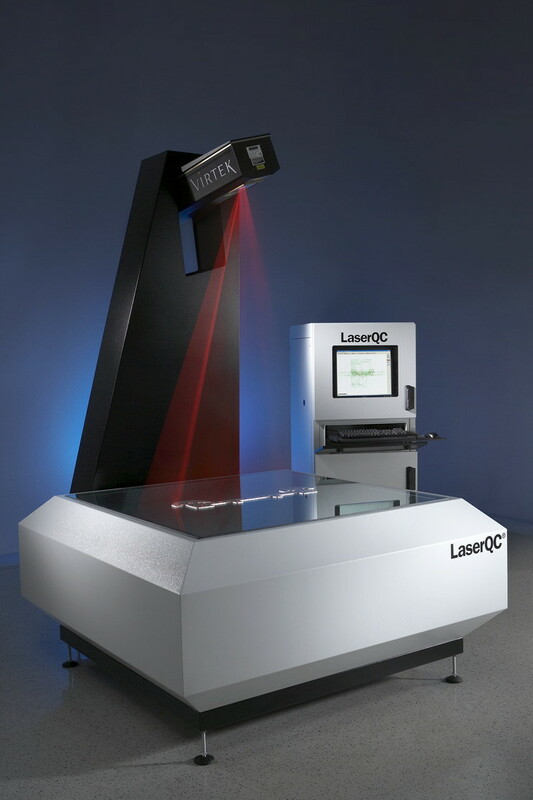 Virtek® LaserQC® verifies system calibration before each scan to ensure repeatable accuracy. By pinpointing errors immediately on the shop floor, you reduce scrap and rework and increase profitability. Achieve optimal accuracy. Accurate to within 0.05mm (0.002 inches), the Virtek LaserQC captures more than 500 data points per second. And it can issue quality control reports to build customer confidence. Use with ease. Designed for easy set up so it can be operational in only a few hours. — the intuitive user interface allows new operators to quickly become fully proficient and importantly, productive.